Repipe Specialists gets thousands of referrals per year because our business model revolves around premium materials and superior service at the lowest possible cost to you! Furthermore, we are dedicated to quickly completing our jobs and making it look as if we were never there. Repipe Specialists Only Uses the Highest Quality Materials! Type “L” American-made copper piping – We use thicker copper piping than required by law. This allows for strong, durable pipes which can withstand a lifetime of use. Uponor PEX-a pipes – These PEX pipes are superior to anything else on the market. With the ProPEX expansion fittings, you get a piping system that actually gets stronger over time and is extremely leak resistant. Lead-Free PEX Plumbing Systems – Because we use Uponor PEX-a piping, we are able to repipe your home without using a single lead component! This means you have a worry-free, non-toxic plumbing system for life! Ball-Valve Shut-offs – These are superior to typical shut-off valves because they turn on and off with only a quarter of a turn. Stainless-Steel Supply Tubings – These are very durable and will outlast the cheaper plastic tubings which are frequently used. Again, we are able to guarantee our work for life because we use the most durable materials on the market. Insulated Hot Lines – We insulate all hot water lines to improve heat retention. 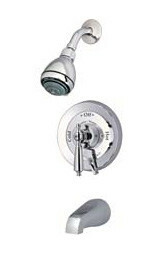 Pressure-Balancing Tub and Shower Valves – These are designed to eliminate fluctuations and bursts of hot or cold water in your tub or shower. Repipe Today and Make Recurrent Plumbing Issues a Thing of the Past! Call 713-597-5919 today to get a high-quality, worry-free plumbing system that will last a lifetime! Or click HERE for a free estimate form!